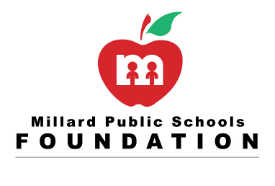 Kids Network is a self-supporting program offered in each elementary school in the Millard School District. KN operates before and after school on school days and from 6:30 am-6:00 pm during days when school is dismissed for vacations and weather event days. Find out more here. Foundation staff support Kids Network, the scholarship program, alumni relations and annual events like the Golf Tournament and the Hall of Fame Dinner. Sign up to be an alumni or booster for your favorite Millard High School. We will inform you about outstanding alumni and school awards and achievements.